I love to volunteer in my community, whether that means helping out at youth organizations, at my daughter’s school, or in garbage clean-ups. But my very favorite thing to help with in the adorable town in which I live, is storytime at the local environmental institute. As the storytime bossy-boss, I get to choose the books we read and the activities that follow the readings. And, as a Bookshop Talk hosty-host, I’d like to share those books and activities with all of you. That way, you can hold your own storytimes! Whether you choose to do that with your children or in a larger community setting, I know you’ll get a lot of joy from the experience—and give it out in hefty doses, too! 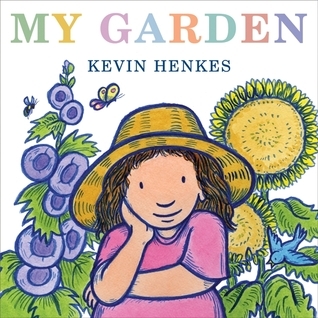 MY GARDEN by Kevin Henkes, 2010. The illustrations in this book are phenomenal, and the text is really sweet. Funny, too! This was our featured selection, which meant that I read it very first. MAMA, IS IT SUMMER YET? by Nikki McClure, 2010. This is another gorgeous picture book. 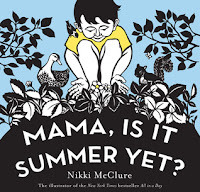 The kids enjoyed looking for the bits of bright color on each black-and-cream colored page, and they loved the anticipation of summer that the boy in the story experienced (and that built up for the reader, too). 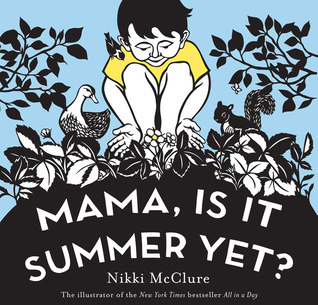 Kids are always asking, “Mama, are we there yet?” on trips, or, “Mama, is it my birthday yet?”, and this book gets at that idea. Good things come to those who can exercise a little patience! 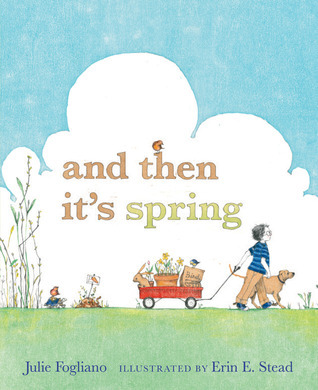 AND THEN IT’S SPRING by Julie Fogliano, 2012, with illustrations by Erin E. Stead. This book is sheer poetry, with stunning illustrations. It’s also another “waiting for spring” book. All three of these picture books are very much suited to young kids—ages Can-Sit-Still-for-Ten-Minutes-But-Only-Ten-Minutes to about eight, I’d say. 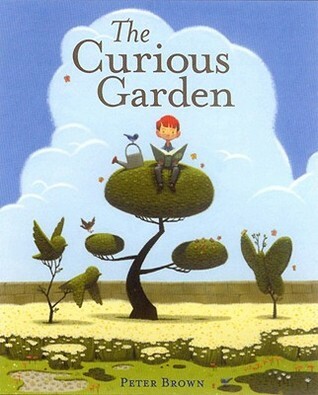 One other book that I’d like to recommend that fits this garden theme is THE CURIOUS GARDEN by Peter Brown (2009). This book was inspired by the High Line garden that runs through Manhattan on an old elevated train track! Truly, gardens can exist anywhere—and should exist everywhere, in my opinion! Speaking of gardens existing anywhere, how about in an egg carton? This was our activity for the kids who came to storytime, and two great things about it was that it was really, really fun and really, really cheap. I cut recycled paperboard egg cartons into individual cups, which the kids filled with soil, a bit of water, and three pea seeds (just in case some don’t grow). Then we poked tiny, postage-stamp-sized signs with pictures of peapods on them into each cup. Toothpicks made the perfect flag poles for our tiny peapod flags. This activity was a hit with all the kids, and even the tiniest ones participated (with the help of grownups). We also planned a scavenger hunt around the nature center, but we ran short on time, so we decided to bag it. If you were to hold a storytime at a similar site to ours, however, a scavenger hunt to get to know the area would be great. You could place each of the items that are needed for the pea-planting at different areas around the site and give each child a map (with photos as well as text) showing where they need to go in order to obtain their materials. I hope you enjoy many, many storytimes this summer! Stay tuned to hear about more of the books that are read at the nature center storytime this summer and about the activities that go along with them! 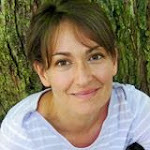 Is anyone else out there involved with summer storytimes? Where is it held? What sort of activities do you do? 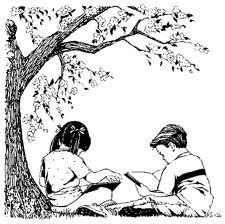 What storytime books have you read this summer? I actually haven't read any of these. How embarrassing! 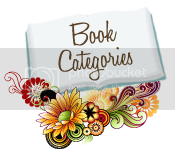 I'll be doing a bit of catch-up on picture books before I host my own. Thanks for the post! 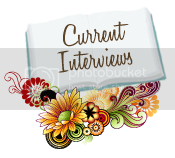 I want to win a book!